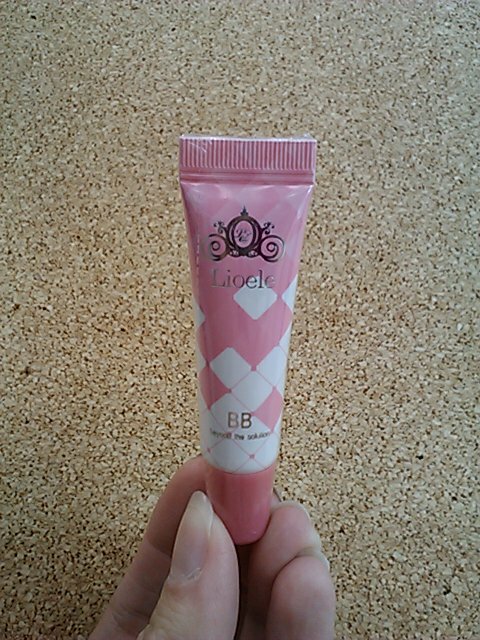 Lioele Beyond the Solution BB Cream was included in my Pretty and Cute haul in this post. 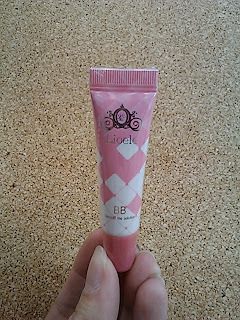 This is the first Asian BB Cream that I have tried, and overall, I liked it. I thought it was a pretty good match to my skintone, and I only had that opinion challenged once. I was in The Sage Tree Salon and Spa, and apparently they have a certain kind of light to help them with hairdye colors. I looked like Morticia Addams. Not that it's necessarily a bad thing... but it wasn't the look I'm going for. Elle said that the lights made everyone's makeup look funky, so I'm writing off that experience as a fluke. Application: The formula is creamy, and has a medium viscosity. I used less than a pea-sized amount for my entire face. If I used more than that, the coverage was very heavy. I prefer a medium to light coverage, so I tried to not be over-zealous in my application. After the first layer, you can wait a few minutes for that layer to set and dry, and then you can apply another layer. It builds very nicely, with no caking. I added an extra layer in places I would normally use concealer. I placed dots of the cream around my face, and then used my stippling brush to pat it all over my face. After it was all patted on, I swirled the brush around my face in small circles. I felt like this gave me the most smooth application, and did a good job of hiding any large pores. 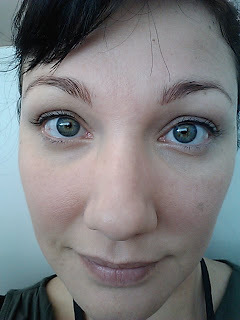 One light application evened out my skin tone and concealed almost all of my face's redness. It didn't quite cover the pink in the apples of my cheeks, but I put blush there anyway, so I didn't care. As a side note, I have mentioned before that I never put foundation on my cheeks, because it seemed silly to cover them and then put the color right back on with blush. 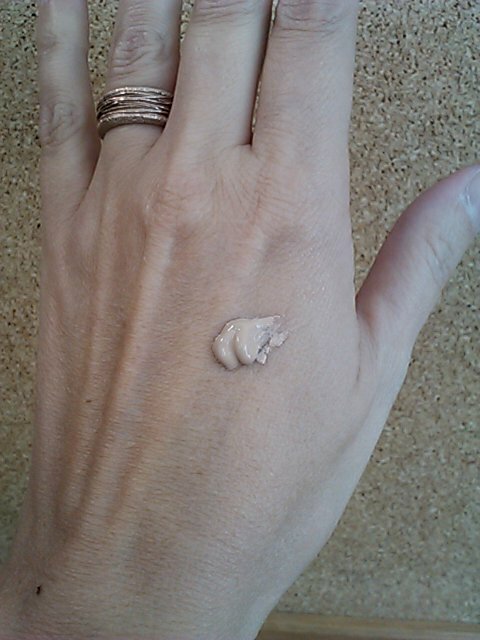 Asian BB Creams tend to have skin whiteners in them, so I didn't want the effect to be uneven. Therefore, the BB Cream went all over all the skin on my face. 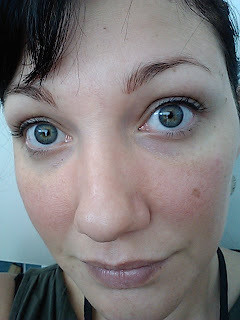 Bare face - Unflattering pic, but the point is you can see my skin, right? That's a pretty stunning difference, especially because of the tiny amount of product you use. 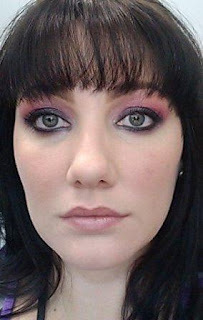 Now, here is a picture from today, one week from when I first started using it, with makeup. Notice my left cheek (on your right). You can barely see that dark spot anymore! Wear: This product does not control oil. I have normal skin, with a oily nose. Sometimes my forehead will join in the fun, but only rarely. After about 2 hours, I needed to blot my nose. Then it was pretty much every hour or two after that. I did set my face with a little bit of powder, and that seemed to delay the first blotting. The BB Cream wore off my nose the first day I wore it, but after I figured out how to apply it, I didn't lose coverage in the rest of the trials. Overall, it was comfortable to wear. It didn't feel heavy or mask-like, and I felt like it almost looked better as the day wore on and it settled more and more into my skin. I don't mean that like settling into fine lines or creasing up, but actually soaking into my skin, much like your moisturizer does, but much more slowly. For nightly cleansing, I found the cream to be water-resistant. I had to use a facial cleanser to get it off of my face. I'm used to using a warm and wet washcloth to wipe my face clean, and then using a mild cleanser to clean my face. That did not work for me with the BB Cream. I wet my face and swirled the water around with my fingertips. Then I used a warm and wet washcloth to gently wipe my entire face. Then I applied the cleanser and gently rubbed with my fingertips. After that I used my facial brush to swirl more warm water on my face, with the cleanser still on there. Finally I wiped my face clean with the washcloth, and then splash a bit more water on there to get any remaining residue off. Effects: I'm not sure how much my new cleansing routine affected my skin, but I am very pleased with how my skin is looking. There seems to be a more even tone, smaller pores, and it feels very soft and smooth. The dark spot on my left cheek seems to have faded a bit, too. Trial Notes: I kept short notes from my trial week. I am going to transcribe them as I wrote them, so you can see how my application methods developed, and so that I am not coloring my early perceptions with my ending opinion. I did go one day make-up free, so there are only 6 days of notes. Day 1: Smells like floral soap. Looks very pale at first, even though it comes out of the tube beige. Faded off of nose within 4 hours. Still too pale for my skin after oxidization. Looked okay indoors; looked much better outdoors. Day 2: Not really happy with how my pores look with this. Tried the "pat on" method today, and still had very visible pores. Adding cream blush with stipple brush significantly improved pore appearance. Patted on second layer to nose, significant pore coverage, nearly flawless, rubbed lightly after patting, to fill in pores. Day 3: Apply with stipple brush, big difference! Much more coverage, pores are nearly invisible. Nose still got oily. Seems to be water-resistant. Needs cleanser to remove. Breaking out a little, but could be from new cleansing routine. Break outs aren't bad, very small. Day 4: Noticed fading of dark spot on left cheek. Break outs from yesterday healed and gone. Did get a new one, again, it was small. Day 5: Used with primer. No difference to performance. Breakout from yesterday healed and gone, no new blemishes. Skin looks more even toned when bare. Day 6: Very happy with coverage, blending, skintone match. I feel like I figured out the perfect amount to apply to my face. Instead of doing multiple layers for concealer, I put heavier amounts in those places, so now I get one-coat-coverage. No blemishes. Dark spot is quite faint.